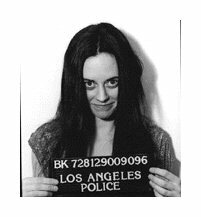 This entry was posted in Manson Family and tagged Manson, Susan Atkins by Frank Girardot. Bookmark the permalink. I hope she burns krispy style in hell…. yeah lets hope she gets it all . At least this is one less murderer whose parole hearings Sharon Tate’s sister will have to worry about attending. It’s unfortunate that the grief and stress imposed on the families by appeals and hearings becomes a life sentence in many cases. That’s not Susan Atkins on the picture! That’s an actress. It’s good that we are able to take the home loans and that opens new possibilities.